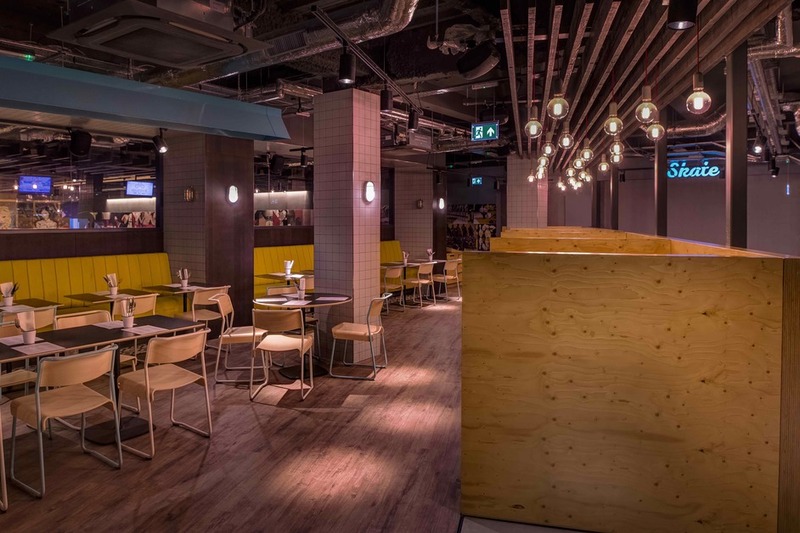 A huge indoor ice rink, 12 bowling lanes, plenty of retro arcade machines and a British diner by MEATliquor - QUEENS Skate, Dine, Bowl has been entertaining Londoners since the 1930s and underwent a massive refurb at the end of 2016. With an interior that pays homage to ice skaters and bowling lovers of decades gone by, Queens is a 45,000 square foot entertainment venue with eating, drinking, skating and bowling under one roof, appealing to teenagers and corporate bookings alike. Two bars have been designed in an industrial, British-retro style and you can eat MEATLiquor burgers at the 200-capacity bar, which also has a pool table, fruit machines, table football and dart board, or have food and craft beers brought to your bowling lane or served at the spectators' area by the ice rink. Just be sure to leave plenty of time if you've got a curling lane booked - service is extremely slow at the restaurant and you don't get to extend your pre-booked, pre-paid time slot if you're late. QUEENS Skate, Dine, Bowl gyms, sporting activities, health & beauty and fitness. What are the best dining options near QUEENS Skate, Dine, Bowl London? The best pubs near London QUEENS Skate, Dine, Bowl. QUEENS Skate, Dine, Bowl clubs, bars, cabaret nights, casinos and interesting nightlife. Where to have your meeting, conference, exhibition, private dining or training course near QUEENS Skate, Dine, Bowl. From cheap budget hotels to luxury 5 star suites see our deals for QUEENS Skate, Dine, Bowl hotels, including Hilton London Hyde Park Hotel from 79% off.